"The Bakery has set up the Start Programme to enable you to build companies that respond to immediate challenges faced by industry today. We give you exclusive access to the key stakeholders – the decision makers and people who matter – within corporates who possess decades of industry experience. Through joining Start you’ll go through a journey to discover the sector’s true pain points, while at the same time securing the best footing available upon which to start a company, solving real market needs." We’ve found real corporate pain points that businesses are ready to commit money to solve, right now. Start gives entrepreneurs a better chance to succeed by de-risking and accelerating the process to product market fit. The Bakery has global connections across the corporate and startup ecosystem – providing you with access to an unrivalled network of people to work with throughout every stage of the journey. Inside the corporate we’ve unlocked assets that will accelerate your product development. From datasets, distribution networks, celebrity endorsements, to the corporate backend systems – we have it covered. Start brings together the best people to work with – talented co-founders, designers, a cross section of industry-leading mentors and subject matter experts – all under one roof. The incubation programme in London pays a monthly stipend and provides office space to support you during the early stages of your company. "We accelerate teams or companies with two or more person with launched games/demos/slices from any country in the world." Program benefits: The program is 3 months long and provides mentoring for your team to improve their business and game quality skills by over 60 top industry mentors, weekly pitch practice, playtesting, field trips to successful game studios and at the end of the program, demo days where you will get the chance to pitch to our global network of investors and publishers. "Indie Games Accelerator is a four month program for top indie game startups from India, Indonesia, Malaysia, Pakistan, Philippines, Singapore, Thailand and Vietnam who are looking to supercharge their growth on Android. This is a special edition of the Launchpad Accelerator program, designed in close collaboration with Google Play, featuring a comprehensive gaming curriculum and mentorship from top mobile gaming experts." "Carbon is a games incubator/accelerator with the mission to support independent game developers in crafting and distributing their games. Carbon’s focus is on under-served yet high-potential regions, such as Eastern Europe or Latin America." Investment amount: Carbon doesn’t commonly take equity or ownership. Your company will remain 100% independent. Therefore, our business model is based strictly on revenue-share: we share the risk with you and we are committed to help you succeed up to the product’s completion, and further. Program benefits: There are three service tiers. On the basic level, you get mentorship, access to our contact network, admin services and working space & equipment. Second tier gives you access to development services, sponsorship for industry events, PR and publishing services.. Third tier includes development funding of up to 50,000 USD, either as a development grant or through rented development resources. In exchange for those services, you agree to give Carbon 10%, 20% or 30%, respectively, of the game’s revenues. "SPARK startup accelerates startup teams with a great business idea and takes them on an exciting entrepreneurial journey. The industries of our focus are Gaming & Sports Data, IoT & Big Data, and Digital Media & E-Commerce." For nine months, all members of SPARK startup programs can use space and all the software and hardware equipment needed for product development. Once a week, startups attend workshops on topics from the startup world, product development, business models, marketing, sales, finance, and global market. At least once a month we organize various events, all with one goal – education of our startups, young and enterprising people from our neighborhood. These are conferences, workshops, meetings, competitions, hackathons, forums, teambuilding events and the like. Our general partner Sportradar provides valuable data to SPARK startups, namely for over 300,000 professional sports events every year, for over 40 different sports. That’s not only fixtures and results but many other real-time data points which provide virtually unlimited possibilities to analyse, compare performances and create engaging solutions. "Stugan is a non-profit accelerator program for talented game developers, helping new teams and individuals to realise their wildest game ideas. Spend two months of your life in the woods, far away from civilization building the game of your dreams." Program benefits: During your eight weeks in the cabin, you will work on your game with the aim to reach your goal, as described in your pitch. Your goal can be a demo, a Kickstarter build or why not a game ready for release - it's up to you. "Think your game idea or project is worth sharing with the world and has 'hit game' potential? Test it out and fine-tune your business game plan at Alpha Startups: Game Edition." 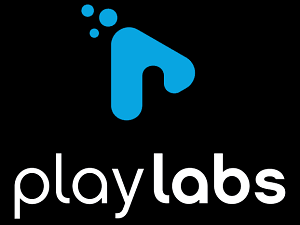 "Play Labs is a startup incubator/accelerator program for startups on campus at MIT in the summer using playful technologies in any industry. 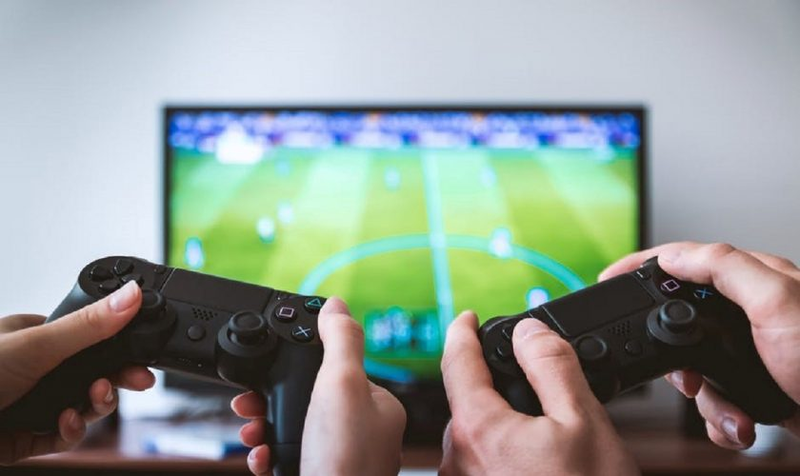 Playful technologies come in many forms, including Digital Currency/Blockchain, eSports, Video Games, Virtual Reality, Augmented Reality, 3d Modeling, Gamification, AI & Machine Learning, Media Visualization and Streaming." Investment amount: Every team accepted into Play Labs will receive $20k at the start of the program in exchange in for 6% common equity as our standard participation method. Startups that have raised more than $100k already or have more than $100k in annual revenues may be eligible for our alternative participation methods. Program benefits: Launching a startup can be a herculean task; making it successful can be even more challenging! Many MIT alumni and members of the community have started, funded, grown and sold their companies. Play Labs is designed to help you get your company off the ground and on the right trajectory to success with advice, hands-on mentorship, financing and more. Play Labs can also help your company get exposure within the VC and investment community; because of our affiliation with MIT we are watched closely by many investment professionals. "Stadia Ventures is the global Sports Innovation Hub for entrepreneurs, industry partners and investors. We create an ecosystem for sports innovation growth by leveraging our team’s core strengths: education, investment, network, and industry expertise." Program benefits: Stadia Accelerator helps established sports & eSports startups get to the next level through the combination of up to a $100,000 equity investment, intensive mentoring, and connections to the top sports & eSports business executives in the country. We leverage our network of industry executives that include senior leaders at teams, leagues, sponsors, game developers, publishers, manufacturers, marketers, investors, business services, etc. We finish the delivery by helping companies close their next deal, land their next investment round, or find their exit partner. Our success is determined by our cohort’s financial success!